The Community Church does not have a permanent minister. Rather, it has developed a unique program whereby retired clergy from the US are invited for a period of two months to lead our worship service on Sundays and assist in the spiritual and other short term needs of the congregation during their stay. We provide round trip transportation between San Miguel and the minister and his/her spouse's home city and we provide a house for them to live in while they are here. If you are interested in exploring the possibility of being one of our Ministers-in-Residence, please contact us through the Contact tab on this web site. Currently we have several ministers who have returned one or more times. Our ministers are ordained in various denominations such as: Presbyterian, United Methodist, ELCA (Lutheran), United Church of Christ, Episcopalians and others. Newt and Julie Kerney live in Bend, Oregon, a very scenic area known for outdoor adventure; hiking, kayaking, and snow sports. Newt is a retired Pastor of the Evangelical Lutheran Church in America, having served four parishes in California and Hawaii. In addition to a degree in Music Education and his seminary degree (MDiv), he also has a Doctor of Ministry in Spiritual Formation from George Fox Seminary in Portland, Oregon. Julie is an RN, PHN, with a MSN. She had a wide ranging career including pediatrics, public health and home health, as a nurse, a manager and a consultant. She brought her skills to our congregations as a parish nurse. She has been part of a health ministry group that has created classes in churches to help seniors make decisions surrounding aging, such as living options and long-term care. She is a weaver, a knitter and loves to cook. Julie and Newt have spent portions of their first five years of retirement volunteering with churches outside of the US, including Lithuania and Bali before coming to San Miguel de Allende for the first time in 2015. When not in San Miguel, they can be found at their cabin near Mt. Lassen National Park in northern California, hiking, kayaking on one of the local lakes, or hanging out with their three married children and their four grandchildren and exploring central Oregon. We are most excited about being in San Miguel with y'all - thank you for this opportunity! A major highlight for us is that while we're there we'll celebrate our 50th wedding anniversary! It's hard to believe it's been so many wonderful years together, and we are deeply thankful for each other. Joan was born and raised near Chicago and went to college at Mizzou; I was born near Cleveland, raised in Florida (hence the "y'all"), and went to both Princeton Univ. and Princeton Seminary in the 1960s. We met in Colorado (at a Young Life camp), were married in Seattle, and have since lived in California (the Bay Area), Colorado for many years, Arizona, and now Salem, Oregon since 2007. We've also lived in Brisbane, Australia, where Joan did a teacher exchange in 1996 (she's a mostly retired elementary teacher), 9 different times in New Zealand, where I've served as interim pastor in various churches beginning in 2002, and even a few months in Melaque, on the Pacific Coast south of Puerto Vallarta (where we came to know and appreciate Dean & Nancy Underwood). So we've learned to trust God's leading wherever he guides us and to appreciate the marvelous diversity of God's world and peoples. We have 2 children and 5 grandkids, all living close to us in Salem. The grandkids range from almost 17 to 4, so they keep us hopping and are a real delight (most of the time anyway!). In fact, our son and his wife and his son, along with our daughter's 2 oldest kids (14 and 12), will all be visiting us in San Miguel to help us celebrate, so we're excited about that. The grandkids have all studied Spanish immersion for several years in school, so we hope they'll give that a go while there! Over the years I've served as both the pastor of small to medium sized churches, and also on the staff of large churches, and found all those experiences to be powerful expressions of God's love and people. Sometimes the challenges are great, to be sure, but it is special to sense God's guidance and leading of his people throughout the world. We are linked together as Christ's Body wherever we happen to be. And it's reassuring to know that wherever we are, God is! Ken was our very first Minister in Residence. We continue to welcome Ken and Linda back with us every year. Rev. Ken Roth, a United Methodist minister, retired from 43 years of active service in 2010. This will be his fifth time as Minister-in-Residence at the Community Church. After completing his Master’s degree in the late 60’s, he went to New York City for inner-city training. He and his wife Linda, also a United Methodist minister, lived in East Harlem and participated in the ministry of The East Harlem Protestant Parish. Following that, the couple moved to North Carolina where Ken began work as the director of an inner-city ministry program. Clinical training at the Medical College of Virginia followed his inner-city work, and Ken continued to learn both psychologically and spiritually how to effectively serve others. He feels this training was, perhaps, more important for him than his seminary training. Ken has served small and large churches from the mountains of North Carolina to the central piedmont. He has spent his last 22 years in and around Charlotte. He feels most at home as a teacher and as a counselor. His sermons tend to push at the mind as well as the heart. The Rev. Steven Winkler comes to the Community Church of San Miguel fresh on the heels of his retirement from the Protestant Community Church of Medford Lakes, New Jersey, where he had served as Senior Pastor for the past twelve years. Prior to his ministry in Medford Lakes, Steve, a graduate of Beloit College and Andover Newton Theological School, had served churches in South Royalton VT, Lima OH, and St. Johnsbury VT. An ordained pastor in the United Church of Christ, Steve has been involved with the wider church through a long list of UCC Conference departments and programs and with local agencies and ministries focusing on older Americans, youth, and various peace initiatives. He also served part-time as hospice chaplain in St. Johnsbury. Husband of one, father of three, grand-father of two, Steve is looking forward to the new adventures retirement may afford. Heather was born in Vermont, and grew up in Ohio. Heather and Steve met when both were undergraduates at Beloit College, in Wisconsin, where she received her BA, majoring in International Relations. While Steve was a seminarian, Heather worked in the Hispanic community in Boston as a social worker. She eventually earned an MEd, and worked for many years in Vermont and New Jersey as an elementary school guidance counselor. Since her retirement she has volunteered as a guidance counselor for a Christian elementary school in Camden, NJ. Her greatest joy has been raising their three children, but she also enjoys travel, gardening, music, and friends of all ages. 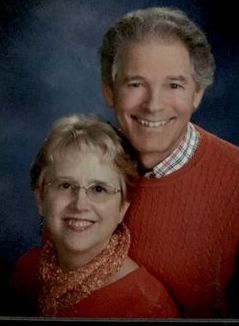 Marcy and Steve have lived in Cary, NC for the past 15 years as Steve has served Community UCC in Raleigh, NC from January 2002 until retirement in January 2015. 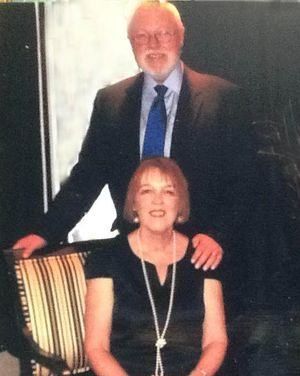 They have been married for 45 years and have two adult children and four grandchildren. Steve and Marcy met at the Univ. of Connecticut, where Steve graduated with a B.A. in History and Marcy with a B.A. in Sociology. He received an MDiv. from Boston Univ. 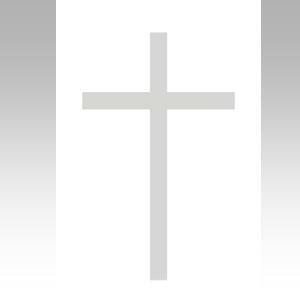 School of Theology and was ordained in the Metropolitan Boston Association of the United Church of Christ. Marcy did further study to become a public school elementary education teacher. Steve has served UCC churches in Belmont MA, (just outside of Boston), and in Williamsburg, MA (for 3 & 6 years), then made a big move to Church of the Good Shepherd UCC in Albuquerque, NM. After 10 years there he received a call to pastor Community UCC in Raleigh, NC. (13 years) until retirement. Marcy taught public school in MA.,NM., and NC. before retiring and taking up part-time work in the children's department of the Wake County Public Library system. She retired from that work at the end of 2017.
environmental justice and interfaith ministries. He continues to be involved in the NC Council of Churches environmental justice program: Interfaith Power and Light, and the Triangle Interfaith Alliance (Raleigh-Durham-Cary). He has also been chosen to co-lead the newly formed Climate Justice Network for the Southern Conference of the UCC. 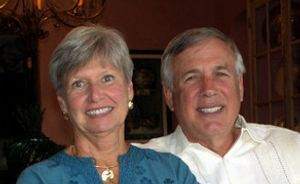 Steve and Marcy both love to travel and meet new people and experience new places. They enjoy music (Steve plays guitar), gardening, and grand-parenting. Hiking and exercise are part of our routines to stay physically fit, and Marcy is an excellent cook using wholesome, healthy foods. Emery 3 and Benjamin 1. Their daughter Elizabeth (34) lives in Raleigh with husband Matthew and two children, Avery 8 and Davis 6. They enjoy family gatherings and opportunities to sit for the grandkids when they arise.